“Still love that girl, still respect that girl. All that negative energy sh*t, that rub off on my son” – G Herbo on his breakup with Ariana Fletcher. Rapper G Herbo addressed rumors that he broke up his relationship with his babymama Ariana Fletcher due to cheating. 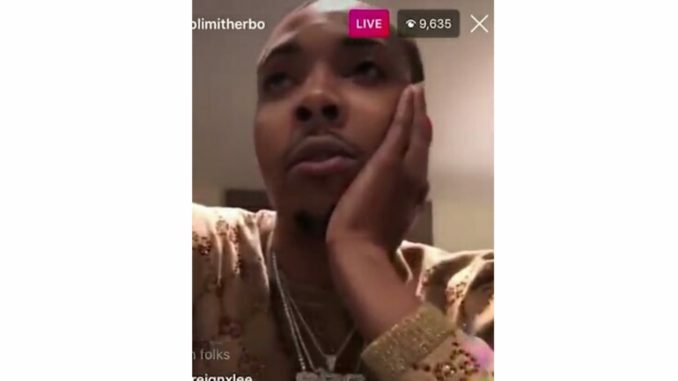 Herbo denied the rumors, saying he was “the best n*gga on Instagram”, as he’s never been caught up in a cheating scandal and never slept with another woman during their three-year relationship. Herbo says he still loves and respects Ariana and when asked if they’ll get back together, responded “maybe”. The 23 year old also addressed the attack his fans launched in the comment section of his alleged new boo, Emily B’s 20 year old daughter, Taina Williams, telling fans to leave that girl alone. “She’s a good girl. She didn’t do nothing to nobody”, said Herbo on Taina.